Massachusetts Personal Injury Attorneys Newton, Massachusetts Since 1988, attorneys at Gillis & Bikofsky have been advocating for the rights of people in eastern Massachusetts and achieving creative solutions to difficult legal problems involving misconduct in the workplace, criminal charges, personal injury and even the rights of Holocaust survivors. One thing we've learned from these experiences is that to anyone who has recently been injured, or unfairly fired by an employer, or accused of a crime the future looks nothing if not dark and uncertain. We'd like you to know there's hope. Here, you'll find compassionate legal help and lawyers who are absolutely dedicated to protecting the rights of their clients. You'll also find the best of what both legal worlds have to offer: The personalized service, attention and responsiveness of a small close-knit firm; and the kind of experience, skill and resources that large firms have to offer as well. Find out more about us View the profiles of our attorneys Learn about what we do Read the testimonials of previous clients See how we've helped our communities and others Look at our results Free Consultations Local: 617-244-4300 Cape Cod: 508-896-4300 If you've suffered a serious personal injury, the wrongful death of a loved one, or sexual harassment by an employer talk to us. Call or contact our firm today for a free consultation. After graduating from Tufts University (B.A. 1978) and Boston College Law School (J.D. 1982) David R. Bikofsky was admitted to the Massachusetts Bar. For the past 30 years he has dedicated his professional life to advocating on behalf of people seriously injured in automobile and construction accidents, by defective products, and through the negligence of Doctors and other health care professionals. 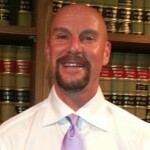 David is a respected trial lawyer who is known for his creativity, intellect, judgement, and honesty. Both David and the Law Firm of Gillis and Bikofsky, P.C. are proud to possess the highest professional rating for both their legal ability and their ethical standards. During his years of practice David has lectured regularly for the Massachusetts Academy of Trial Attorneys, as well as the Massachusetts Bar Association. For over 20 years David has served on the Board of Governors of the Massachusetts Academy of Trial Attorneys (MATA) where he has chaired and served on numerous committees. After serving on the Executive Committee of MATA for several years, David was elected as Secretary and then Treasurer of the organization. In 2003-2004 David was proud to serve as President of MATA, the states largest bar association for Trial Attorneys. During that year he was privileged to testify several times before the Massachusetts Legislature on issues effecting individual, consumer, and patient's rights. Further, David served several terms as a Massachusetts Delegate to the national trial lawyers organization, American Association for Justice (AAJ). In 2012, David was recognized again as a "Top Attorney in Massachusetts" by Boston Magazine and as a "New England Super Lawyer". When David is not in court you will find him on the basketball court. For the last 15 years, David has dedicated a tremendous amount of his outside time to coaching, teaching, and working with youth basketball players. During this period he has coached nearly 1000 AAU Basketball games and for over seven years served as President of the Bay State Jaguars Basketball Club (AAU). His teams have consistently competed successfully on a state, regional, and national level. He is extremely proud of his players many of whom have gone on to play at the college level. David is also actively involved with Doner Elite Basketball to provide basketball skill development to young players committed to the game. Finally, he served as the Assistant Varsity Girls Basketball Coach at Newton South High School for five seasons.